The tensions in relations among the top leadership of the Republic of Turkey have reached their logical denouement. On Wednesday night, after a personal meeting with President Recep Tayyip Erdogan, Prime Minister Ahmet Davutoglu announced his resignation. Ahmet Davutoglu assumed the post of prime minister of Turkey in August, 2014. Shortly before, he became the leader of the Justice and Development Party. Also in August 2014, the post of presidency was taken by Recep Tayyip Erdogan, the former head of the country’s government. It is worth noting a particular feature of Turkey’s constitutional system. The head of state is the president, while the prime minister is considered to be the most influential figure in the country . This is at least how it should be in theory, but in practice Erdogan left the post of head of government for the presidency with no intention of becoming a mere formal figure. The Turkish president went even further in strengthening his own power to the point that it beacme necessary to amend the country’s constitution. For his part in not wishing to cut his authority in favor of the president, Davutoglu criticized the draft of the new constitution. But now, as Ahmet Davutoglu has stated that he is leaving his post (including his leadership of the party), the path to concentrating all executive power in the hands of Erdogan has been opened. The reason for discord between the prime minister and president was not only the dispute over the country’s leadership. The views of the republic’s foremost men have diverged on a number of key issues. Davutoglu, being in fact a pro-Western politician, strove for closer cooperation with the European Union. The progress on the visa agreement with the EU is largely to his credit. Erdogan, on the other hand, preferred to settle with blackmailing Europeans in order to obtain various concessions for Turkey. The full integration of the republic into the European community, including the transfer of authority to supranational EU organs, are hardly included in the plans of the wayward president. 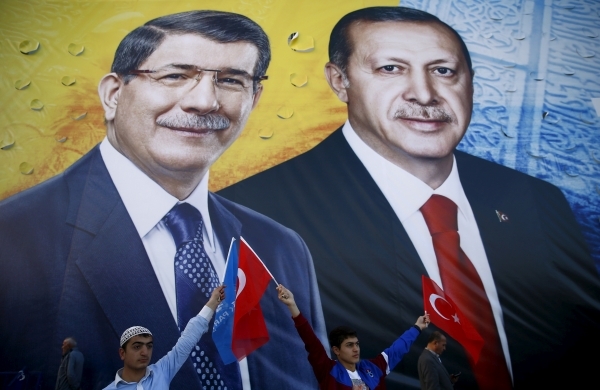 Davutoglu and Erdogan’s views also differed concerning relations with the Kurds. The prime minister believed that it was necessary to negotiate, while the president considered the issue one to be resolved by force. Erdogan’s actions aimed at stifling free speech in the country also failed to find full support on the part of Ahmet Davutoglu. Perhaps the last straw in the confrontation between the president and prime minister was the news that US President Barack Obama agreed to hold a face to face meeting with Davutoglu. Given the US leadership’s relatively cool attitude towards Recep Erdogan, the meeting between Obama and the Turkish premier could have appeared to be unambiguous, but with the support of the US, Davutoglu had the chance to significantly strengthen his position. The consequences of the Turkish prime minister’s resignation will certainly have an impact on the domestic political life of Turkey. If the new prime minister, whose name will be announced on May 22, will be more flexible, then it can be assumed that Erdogan will now be able to push through his draft constitution to transform Turkey into a presidential republic. One of the main contenders for the post of head of the cabinet of minsters is none other than the Ministry of Energy, Berat Albayrak who, coincidentally, is Erdogan’s son in law. But a malleable prime minster is only half of the affair. In order for Recep Erdogan’s constitutional reforms to be adopted, he needs significant support in parliament. While the president wields practically full support from his Justice and Development Party, this is not enough to amend the country’s constitution. The ruling party does not possess the necessary number of seats in the Grand National Assembly of Turkey and, moreover, public opinion is not yet ready to accept a presidential system of governance. Whether Erdogan will wait for new elections or will seek to effect amendments to the constitution by other means is not entirely clear in the ongoing scenario. On the one hand, the policy of stifling media and actively fighting dissent could lead to Erdogan’s desires result. But on the other hand, the same actions could drag Turkey into a series of unpleasant consequences. Like before, Erdogan is not in favor among his Western partners. By eliminating his relatively pro-Western rival in the struggle for maximum authority in the country, the president of Turkey might have just turned the European and American political elites further against him. Recep Tayyip Erdogan already experienced mass protests in 2013 when he was prime minster. The formal cause of the unrest was the cutting down of trees in Istanbul Park, but in reality the protests involved a reaction against Erdogan’s policies. If cutting down trees in a park led to protests which lasted nearly all summer, then the current situation might provide more than enough reasons for the “coloring” of moods in the republic. In the event of serious protests in the country, Erdogan is unlikely to be spineless. His recent actions have made this clear. Yet another issue is whether or not the president of Turkey will be able to deal with a number of problems and whether or not his Western “friends” will seriously undertake such an affair and, parallel with protests exacerbating the Kurdish-Turkish conflict, will organize their subordinate, motley contingent in neighboring Syria and order it to spread the chaos to the Republic of Turkey. Whether or not such a dangerous scenario for Turkey will be realized and whether Erdogan will be able to smoothly strengthen his power in the country will make itself known in time. However, it is safe to say that significant changes in the life of the Republic of Turkey are inevitable.